The Psilocybe Atlantis is the strongest magic truffle in our collection. In a small dose, 5-10 grams, these magic truffles can induce a happy and funny trip. In a higher dose, 15 grams, the Psilocybe Atlantis can give a strong mind expanding trip with deep colors, and closed eye visualizations. Psilocybe atlantis is strongly related to the Psilocybe mexicana magic truffle. But they have proven to be a different species by mycologists. The mushrooms of the Psilocybe Atlantis are also known as the Atlantis Liberty Caps and they have been found in the grasslands of Fulton County, Georgia in the United States. Atlantis magic truffles are considered to be the strongest truffles because of the high amounts of psilocin and psilocybin found after testing on all truffle-forming species. Atlantis truffels are also known as "Atlanta Liberty Caps Truffles", Triprocks, Philosophers' Stones (eventhough this is actually the P. tampanensis) and Númenórian XTC. 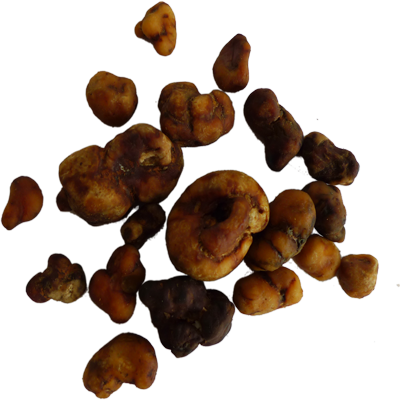 The Atlantis sclerotia truffles are stored in a vacuum sealed package of 15 grams. This guarantees a fresh truffle even after a longer storage or shipping time. All in All, very pleasent. Only drawback i would say is the taste, but i found that with a little sugar you can counteract this a bit. Trip was good, good visuals, happy vibes and a lot of laughs. No comedown which is exellent. So the service was outstanding, shipping literally only took a day. Very very professional company. I ordered 75g of the Atlantis truffles and did them Thursday night with some really close friends whom I've tripped with many times. So we pretty much know how we act while tripping, well really depends on what hallucinogen we are I ingesting. So here's how the night went, we get out of work and head to my buddies house in which he has a projector TV, (awesome). Once we get there we talk a little and get everything set the way we want it, unfortunately we didn't have a trip room or any closets (Germany) but we started eating them around 930-1000. One of my friends wanted to start with only 10g and go from there but we ended up eating 15g right off the bat. We didn't eat for 9 hours before hand besides a pear each we bought at the store, just to have something in our stomachs. The onset was very short, 25 minutes later as we are trying to figure out which movie to watch, we all were amazing how his PS3 background was awesome while it was moving. After about and hour of that we decided to watch, Cloudy with a Chance of Meatballs. By far the best shroom movie ever, tricking hilarious and sooooooo random. Our concept of time was out the window and the movie felt like 4 hours long. Well after the movie, we wanted a stronger trip so we all took another 10g. So that's 25g each, the taste was ok but my friends didn't like it at all. We decided to go for a walk down the street, thank god it was closed cause I would have got hit by a car lol. I started to peak on the walk, and started seeing little tornadoes in the distance, it was a cloudy night so, it reminded me of thewisard of oz. Also since I was soooo hungry, I was seeing little flying slices of pizza everywhere, I tried grabbing them a few times. One of my friends asked what I was grabbing for and I said the pizza slices, the of course he asked if he could have one too, he was hungry. We were 3 close friends. We went to the sea side which is 10min walking from our house. It was about 4 o'clock at midday. Few pepole around the beach was having sunshine. Anyway we found a place which is quite and far away from people. Start to eat and chew well. going on around here ! Started to laughing head off.. We couldnt stoped our laugh..
next to the us, was about 20 meter away.. After he sat, we started laugh again and again.. We really couldnt stop..
Then we talked at eachother and said, ok we must do sometihng, stay here or go home.. because everythings going very weird!! We joint to the party and dance with Armin, Sensation white videos on projection plus 5+1 speaking system..
At he last ours our trip we started to feel little weak.. One of my friend started to think his girlfriend and becaming little sad..As soon as we realized, tried to make him happy..
We gave a job to him.. His job was fireing barbeque.. :) In the end we eat nice food on barbeque and told us what was happened to us!!.. Again thanks for all that.. Thanks again for some fun weekend.